The business model for a contract development and manufacturing organization (CDMO) continues to evolve, becoming a one-stop-shop of value-added services with an increased focus on pre-clinical development services through commercial manufacturing.1 It is these services that help differentiate one CDMO from the other. Some CDMOs are expanding services into biologics and biosimilars manufacturing as well as high-potency active pharmaceutical ingredients (HPAPIs). Last year, CordenPharma completed its expanded development capabilities for mid-scale (up to 20 kg) contained capacity of highly potent and oncology oral dosage forms in its German manufacturing facility. The new and expanded capability provides customers a complete offering in the contained manufacturing of oral dosage from grams to 150 Kg. And Catalent, through its wholly-owned subsidiary, Redwood Bioscience, formed a research collaboration with Roche to develop molecules coupling different therapeutic modalities using Catalent’s proprietary SMARTag technology, an antibody drug conjugate (ADC) platform. Of course, no matter how successful the development, commercial manufacturing and speed to market are crucial. Mr. Meissonnier says that 75% of R&D pipelines are driven by venture capital or small capital investment companies, which look for accelerated development programs. In addition, to reduce fixed expenses, big pharma requires CDMO partners that are highly skilled formulators, with a deep and broad understanding of how a product can be efficiently manufactured for launch and throughout its life. In this exclusive Drug Development & Delivery report, some of the industry’s leading CDMOs highlight their capabilities in the areas of speed, quality, technology, and handling of complex APIs. Aesica is an end-to-end CDMO, offering services from formulation development through to final packaging of APIs and finished dosage forms. In 2016, Aesica expanded its development offering by opening a new development center, which is designed to be flexible to meet varying demands and customer needs. The new facility handles highly potent drugs for any active up to SafeBridge® Category 3, together with controlled drugs, with licenses for Schedules 2 to 4. A dedicated high potency area is flexible with the potential to handle different actives at the same time. Several stability chambers, which are ICH controlled, allow for continued stability studies. Additionally, Aesica has invested in continuous tablet manufacturing capabilities to enable flexible development options, and greater process understanding, with far smaller quantities of material compared with conventional batch methods and a relatively small footprint, says Mrs. Cazenave. Aesica has also invested in serialization capabilities and is now fully serialization-ready. “We have a flexible, modular approach that can be adapted to different customers’ needs and countries’ legislations, and serialization is implemented across all of our packaging sites,” she says. As an example, one client was experiencing a six-month manufacturing delay that threatened to derail an impending clinical trial due to inconsistent dissolution and lot-to-lot variability in the API. As part of the ProForm Select process, Alcami identified the source of the API issues as variable crystal habits in a single polymorph. “A selective and robust crystallization process was developed that eliminated the variability in the API and therefore the drug product,” says Mr. Holberg. To address capacity constraints, Almac has expanded its operational footprint significantly, including the expansion of chemical and microbiological testing laboratories, with the addition of a further facility that offers a threefold increase in its development GMP footprint. Within this facility, multiple Xcelodose® units will enable Almac to fill both API and simple blends into capsules for Phase 1 and 2 trials. Additionally, the facility comes purpose-built with multiple Highly Potent Processing Suites. 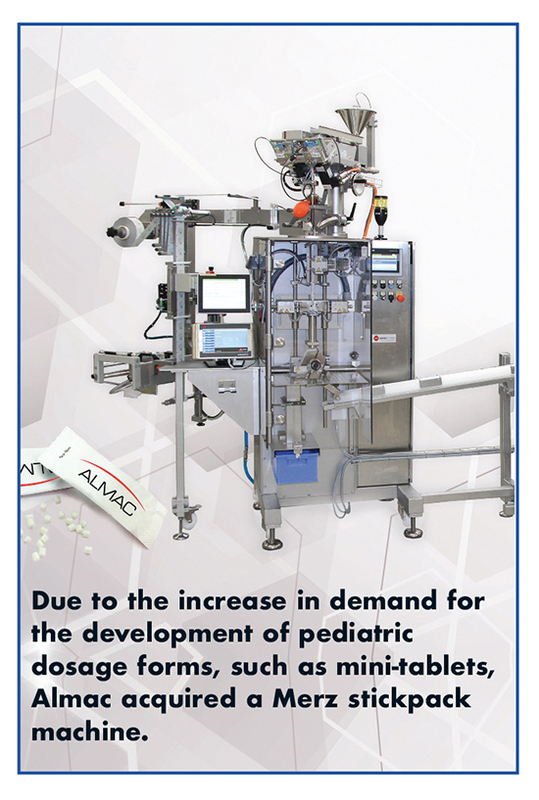 Almac also added mini-tablet/granule/powder in stickpack and mini-tablet in capsule capabilities to its technology list to deliver novel pediatric dosage forms. “We purposely couple our commercial and development manufacturing assets to facilitate a commercial solution to late-phase/registration development, providing our clients with an integrated solution through development and into commercialization,” says David Downey, Vice President Commercial Operations, Almac. As Almac improved its GMP footprint so too is the company assessing further specialist services for clients’ drug substance, drug product, and clinical packaging needs from one site. “Reduced risk, compressed timelines, and reduced vendor management are key considerations for our clients when offered this ‘one-stop’ solution, particularly for our biotech clients seeking the simplest, fastest route to clinic and market,” says Mr. Downey. As an example of how one provider can offer a multi-disciplinary solution, Tom Moody, Vice President Technology Development and Commercialization, Almac, explains how Almac completed several projects involving carbon-14 labelling of ADCs for a US and European client. The strategy for isotopic labelling of the ADC is to prepare a product with the label in either the linker, in the payload, or in both units. Prof. Moody explains that the cytotoxic drug was attached to the linker via the conjugate addition of a thiol-SH on the drug with a maleimide moiety on the linker. This resulted in a [14C]-labelled linker-drug complex bonded together by a non-cleavable thioether linkage. This then underwent purification using ultrafiltration/diafiltration (UF/DF) to remove unbound [14C]-linker from the reaction mixture. The [14C]-Drug linker conjugate was attached to the mAb via amide bond formation between a random surface epsilon-amino group of lysine and an activated ester moiety on the [14C]-linker-drug complex. The [14C]-labelled ADC was then purified by HIC chromatography, concentrated using UF/DF, filtered through a 0.22-micron filter, and formulated in a pharmaceutical buffer. Stringent biological handling techniques were maintained throughout the manufacture to minimize endotoxin and bioburden levels. The manufacture resulted in a formulated [14C]-labelled ADC with a specific activity of 110mCi/mmol. During the past few years, AMRI has expanded its portfolio of services and products through acquisitions and organic growth initiatives to address the increasing trend toward pharmaceutical outsourcing. 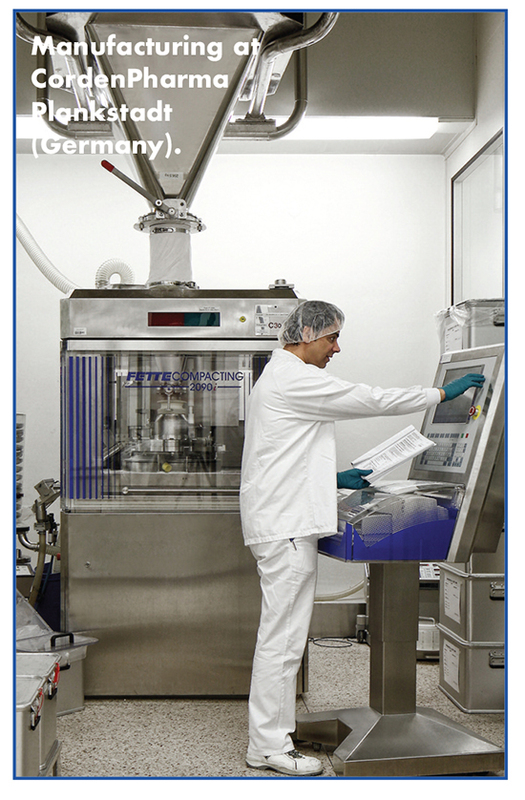 AMRI now provides end-to-end sterile drug dosage form development and manufacturing with four facilities that handle pre-formulation and formulation in Glasgow, UK; process engineering in Burlington, MA; full-scale commercial manufacturing in Albuquerque, NM; and ophthalmic, cytotoxic, and complete commercial manufacture in Leon, Spain. AMRI also specializes in handling products that have high barrier-to-entry challenges, such as sterile products, controlled substances, steroids, high potency compounds, monobactams, and hormones. Ascendia Pharmaceuticals is a specialty contract development and manufacturing (CDMO) company that provides outsourced services to partners for developing new formulations, especially for poorly-water soluble molecules. 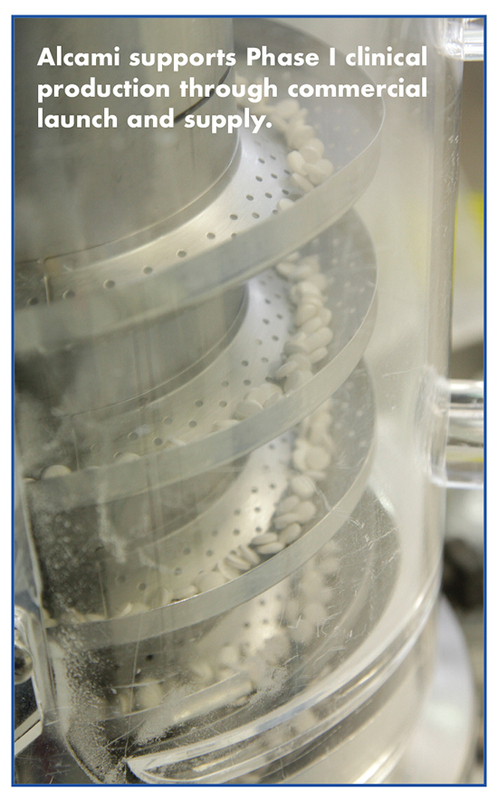 Ascendia also provides small-scale cGMP manufacture for clinical trial materials, including injectable dosage forms. 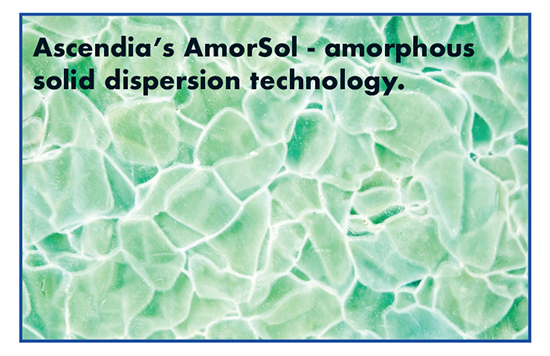 To illustrate the type of specialized and broad formulation development services the company offers, Ascendia has expertise in developing nano-emulsions (using homogenizers and/or microfluidizers), solid-lipid nano-particles (both IR and longacting), hot-melt extrusions, solvent-based spray-dried products, lyophilized dosage forms, and autoclaved injectables. 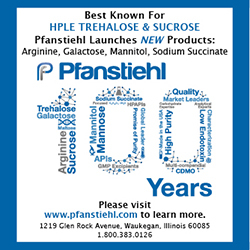 “We often combine processes to develop a unique product that addresses the physical attributes of the drug substance, the delivery route, the pharmacodynamic aspects of the drug product, and whether the final dosage form requires terminal sterilization or aseptic processing,” says Dr. Huang. Ascendia does not focus on a single drug delivery platform, but instead provides contract formulation development for nearly all routes of administration. In addition, Ascendia has an analytical sciences group to handle that aspect of drug development, and recently added small-scale cGMP manufacturing so that an optimized formulation can be quickly taken into an animal toxicology study or a first-in-man study. Mr. Meissonnier says that more complex molecules are appearing in development pipelines and that these require more sophisticated delivery technologies. Thus, complexity must be addressed earlier, ideally starting at candidate selection, in preformulation and before preclinical formulation. All these efforts are made to provide faster outcomes for customers at the early (preclinical and Phase 1 and later stages of development). In the case of Trio Medicines Ltd (Trio), a London-based pharmaceutical company, its lead compound, TML-2, is the acetyl prodrug of TML-1, a novel, well tolerated G-protein coupled receptor antagonist, which shows clinical promise but has limited bioavailability, owing to low solubility, explains Brian N. Woodrow, PhD, Director, Sterile and Biologics Analytical Development, Catalent. Catalent’s Science & Technology advisors employed the OptiForm® Solution Suite, an integrated platform with a structured three-step approach, to assess, enhance, and recommend delivery options for the compound. During the assessment phase, Catalent conducted a series of tests to determine the molecule’s physicochemical properties and its chemical compatibility with different excipients, the molecule’s solubility and its developability classification system (DCS), solid-state characterization, and stability. At the enhance phase, Catalent evaluated three enabling technologies in parallel, based on the data from the “assess” phase. These included lipid-based formulation, amorphous solid dispersion, and particle size engineering. In 12 weeks, Catalent provided prototypes employing all three technologies for use in an animal PK study, and delivered a full report with recommendations and all data, which included two weeks’ stability testing data. Trio tested all the prototypes in the animal study, and the data showed the bioavailability of all prototypes for TML-2 was greatly increased, says Dr. Woodrow. Among these prototypes, micronization (particle size engineering) showed the most substantial bioavailability enhancement (4 times). 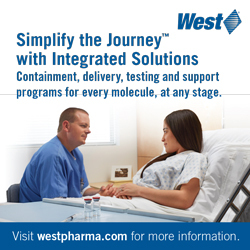 At the early stages of the development process, which spans from drug candidate selection to Phase 1 clinical studies, Catalent offers a continuum of solutions, including druggability, preformulation, toxicity enabling formulation, formulation screening, and fast clinical supplies to Phase 1. When incorporated, these solutions accompany a molecule to proof-of-concept in-man studies. “This continuum leverages differentiated enabling technologies, often targeted at addressing complex bioavailability challenges that go way beyond simple exposure issues, and ensure successful dose escalation in single ascending dose studies,” says Mr. Meissonnier. At later stages of product development, Catalent leverages a toolkit of differentiated technologies to ensure appropriate matching to complex release profiles. This toolkit of technologies addresses complex extended-release profiles, as well as the growing demand in targeted release delivery. Despite significant focus on biologics, small molecules still represent more than half of the total market. For instance, tyrosine kinase inhibitors and poly ADP-ribose polymerase inhibitors are among the small-molecule targeted therapies. These products are also driving the need for oral solid dose highly potent manufacturing. Some estimates predict oral oncolytics to be 25%-30%2 of the market, double the figures from 10 years ago. CordenPharma’s service offering targets the oral formulation development and manufacturing of oncolytics. “Recent investments have expanded our capabilities to develop and supply clinical trial materials and small-scale manufacturing. Engineering controls are in place to allow the safe handling of compounds in development and manufacturing,” he says. 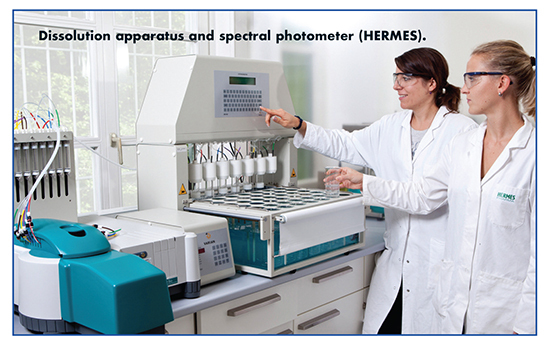 To improve patient compliance, HERMES offers expertise in flavorings and taste-masking technologies. Dr. Koeberle explains that HERMES was recently asked to apply these technologies to a pharma client looking to develop a sour and metallic tasting API into a pleasant tasting expectorant in the dosage form of an ODG. This dosage form consists of small granules that are applied directly into the mouth, are easy to swallow, and don’t require water. In an effort to control quality, there is also an increased customer preference for outsourcing both formulation development and clinical trial sponsorship to the same CDMO. This approach offers a number of efficiency gains, particularly that the customer (and the CDMO) has one fewer business partner to deal with, so coordination and project management is reduced. This also means better communication and clearer responsibilities. Lonza’s Drug Product Services (DPS) group is focused is on the target product profile – the intended product design to enable competitive, quality, efficacy, and safety for patient treatment. “We support our customers by answering critical product design questions, providing patient treatment options, and developing and commercializing parenteral products,” says Dr. Hanns-Christian Mahler, Head of Drug Product Services for Lonza. An integrated drug product design is integral to a successful product, he adds. “DPS combines expertise in formulation development, process design, primary packaging, patient usability, and administration. 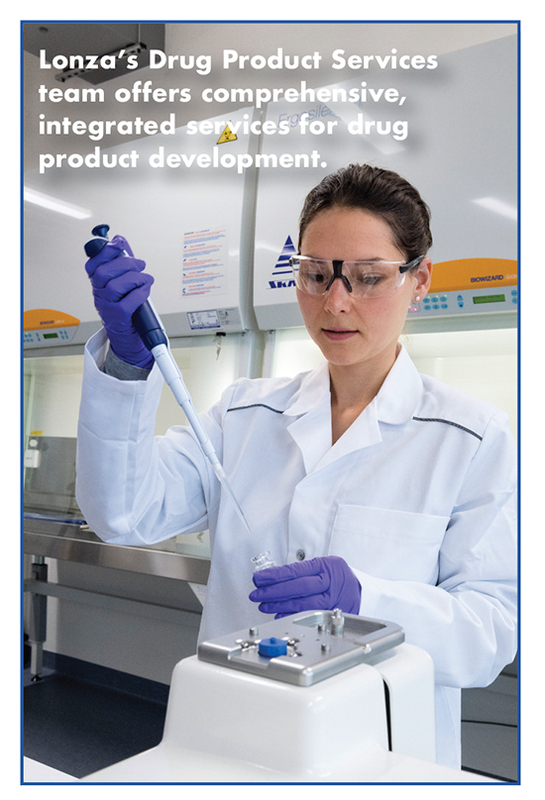 Our Drug Product Services include rapid early-stage development, robust late-stage development, and comprehensive product lifecycle development services.” Additionally, Lonza’s Forensic, Particle and Container Closure Integrity (CCI) labs provide expertise and support for specialized hot topics. One new technology used in the CCI lab is a custom-designed, highest-sensitivity, helium-based leak test that evaluates products at a variety of temperatures. “We are the only company that currently offers this method for frozen products down to -80°C,” says Dr. Mahler. Lonza DPS also assesses root causes of fogging or haze from lyophilisates, and defines mitigating strategies related to formulation, primary packaging, and process design. Dr. Mahler notes that it is also critical to explore the potential impact of excipients and their behavior and stability in a formulation on product compliance to regulatory requirements, and the volume that can be injected subcutaneously or intraocularly. Pharma clients seem to be demanding a CDMO model that provides an end-to-end solution. Since becoming part of Lubrizol LifeSciences, Particle Sciences (PSI) offers exactly this – starting from polymers, through formulation development and into commercial manufacturing on a global scale. “This model minimizes cost and risk of tech transfers in addition to shortening development timelines,” says Mark Mitchnick, CEO of Particle Sciences/CMO-Lubrizol LifeSciences. PSI claims to be the first fee-for-service organization to commercially manufacture nanoparticles and nanoparticulate suspension formulations under aseptic conditions. In fact, the company has designed a soon-to-be-commercial-ready facility (Q3 2017) based on the ability to manufacture nanoparticulate and other complex formulations such as PLGA microparticle depots and drug-eluting devices. PSI has acquired LyoCell® technology, a patented drug delivery technology based on the use of reverse cubic and hexagonal phase lyotropic liquid crystalline nanoparticles. This technology is used for solubilizing drugs and improving their absorption and duration of action. Originally developed to deliver anesthetics via an intravenous route of administration, its utility has been expanded to include a variety of APIs, non-API containing formulations, and other routes of administration, including oral, topical, ophthalmic, and mucosal. “By understanding the thermodynamics and phase diagrams of lipidic systems that govern emulsions, liposomes, micellar solutions, and Cubosomes®, LyoCells allows the formulator to take advantage of the potential that is inherent in lipid/co-solubilizer/water systems,” says Dr. Lee. Based on the trends in demographical change, growth of chronic diseases, and the increasing price pressures in healthcare provision, there are visible developments in the primary and secondary packaging of finished drug products, their production processes, and production equipment, says Dr. Olaf Schrake Head Key Account Management Drug Product Sterile EU/ROW, Siegfried. Medication errors can be reduced by the right choice of primary packaging material and smart secondary packaging material, he continues. While ampoules are manufactured in high numbers, certain safety aspects make other containers, such as vials, more attractive. 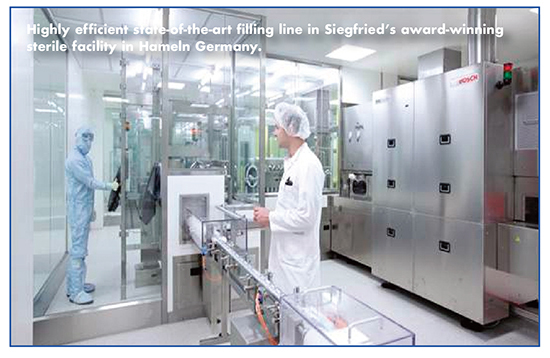 In 2016, Siegfried implemented a new GMP vial line that fills small-scale batches economically and enhances capacity. 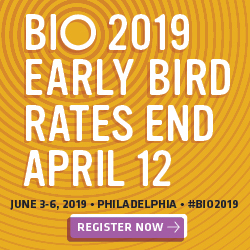 Low-volume dispensing technology and disposable product paths for high-value products speed up validation and development for many of the processes used for filling of biologics. The Hameln site is an accredited sterile facility offering 9 filling suites and with a large multi-purpose inspection and packaging hall. 1. High-Potency APIs and Biologic Manufacturing Present Strong Growth Opportunities for Contract Manufacturing Organizations, Frost & Sullivan, Sept. 28, 2016, https://ww2.frost.com/news/press-releases/high-potency-apis-and-biologicmanufacturing-present-strong-growthopportunities-contract-manufacturing-organizations/. 2. Mosely WG, Nystrom JS. Dispensing oral medications: why now and how, Community Oncology. 2009; 6:358-61.